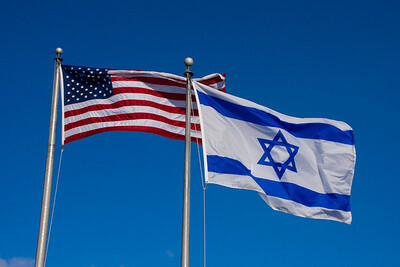 U.S. and Israel Flags fly at JCC Rockland, Friday, January 13, 2012 on a bright early morning winter day. The sun was low in the horizon and the flags were exceptionally well-lit. That attracted my attention and I pulled out a SONY NEX-7 with SONY 18-200mm zoom, approached the flags and got this shot right away. The original is 6000x4000 (24 megapixels). This one was reduced for upload by GraphicConverter X 7.5 (www.lemksoft.com).